I have finally got round to posting all about my fantabulous semi permanent 3D Brows - done at the amazing Tracie Giles bespoke permanent makeup clinic in Knightsbridge. I have sung the praises of Tracie Giles and her team for months on Twitter since having the procedure back in November and five months on I am still over the moon with how my brows have been completely and utterly transformed and the difference it makes to my face. 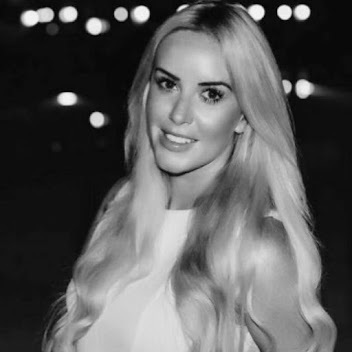 I first heard about Tracie Giles in October 2011 after seeing Lauren Goodger and Lydia Brights brand new - amazing - eyebrows and knew immediately that I would one day be the proud owner of my own pair of perfect eyebrows. The 3D Brow Treatment ensures eyebrows are strengthened and defined with delicate strokes of mineral pigment infused into the epidermis of the skin, perfectly harmonised with the colour of your natural brows. 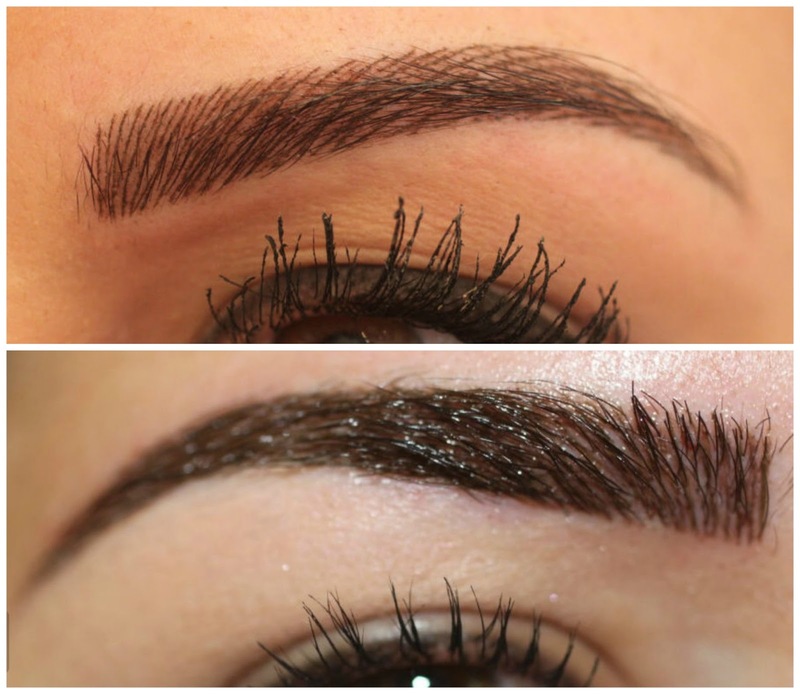 The 3D Brow Treatment replicates natural hair leaving the most flattering, completely natural-looking eyebrows - as you can dearly see from the photos. Whilst only semi permanent it it is a form of tattooing, so it obviously does involve needles. The clinic itself is tucked away, nestled between the exclusive Salons and Boutiques in the ever-so-stylish Beauchamp Place in Kensington (Word of warning - Harrods is less than five minutes away and I may or may not have ended up in there after every visit to Tracie Giles..oops!). At my initial appointment Elizabeth ‘mapped’ the ideal brow shape to suit my face, to ensure complete symmetry of the eyebrows and the most suitable shape/arch etc. Using facial callipers and measuring devices, Elizabeth was able to work out exactly what needed to be done to improve my brows, then used a white pencil to 'mark' the outline of my new brows and a brown pencil to give me an idea of what they would like. At this point you have a really good idea of how the brows will look and can request any changes (darker/thicker/thinner/higher arch - whatever) you would like until you are completely happy with how your new eyebrows are going to look. The photos below show a very VERY happy me taking a cringey selfie whilst sat in the chair all ready and raring to go, my eyebrow 'guide' with the white pencil and the brown pencil used and finally my 3D brows immediately after finishing the procedure. You can see the device that is used to perform the procedure and the teeny tiny needles which deposits minute, individual implants of pigment into the top layer of the skin. The procedure itself takes about 30 minutes and, whilst definitely not painless, it is completely bearable. The needle itself makes a buzzing noise and certain areas of the brow were definitely more sensitive and at times it did make my eyes water and made me feel like I wanted to (and actually did) sneeze a few times, which is exactly what happens to me when I have my eyebrows plucked or threaded anyway. Each eyebrow is done in little 'sections' and Elizabeth started at the inner corner (next to my nose) and worked outwards. As the technique involves recreating individual hairstrokes the needle is never in contact with your face for more than a few seconds at a time and your technician will have to refill the mineral pigment and move along your eyebrow, so it is lots of little bursts of uncomfortable-ness as opposed to 30 solid minutes of pain - you can have lots and lots of little 'breathers' in between. Each eyebrow needs to be 'done' (the hairstrokes applied from the inner to outer corner of the brow) three times in total and for the first application no numbing cream can be applied due to the technician needing to see the white/brown pencil marks on the eyebrow. After the first application is finished, numbing cream is applied and so the second and third application is almost painless. During my first treatment I was slightly anxious and Elizabeth allowed me to sit up and have a sip of water whenever I needed to, which was really really great and meant I felt completely calm throughout. When the procedure was finished Elizabeth sat me up and showed me a mirror and I was absolutely, 100% delighted with how they looked. As you can see from the above photos, there is some redness around the eyebrow area but it's no different to after having them waxed. There is no pain whatsoever immediately after the treatment and no downtime (hence...Harrods!) - but my eyebrows were definitely very tender to touch that evening and the next day or so. The after care involves applying a special cream to the eyebrow area at least four times a day for the next few days and just using your common sense e.g no rubbing/sunbeds/harsh products around the eyebrows. Some people can experience flaking or scabbing (similar to a normal tattoo) - but I did not experience any of this whatsoever. 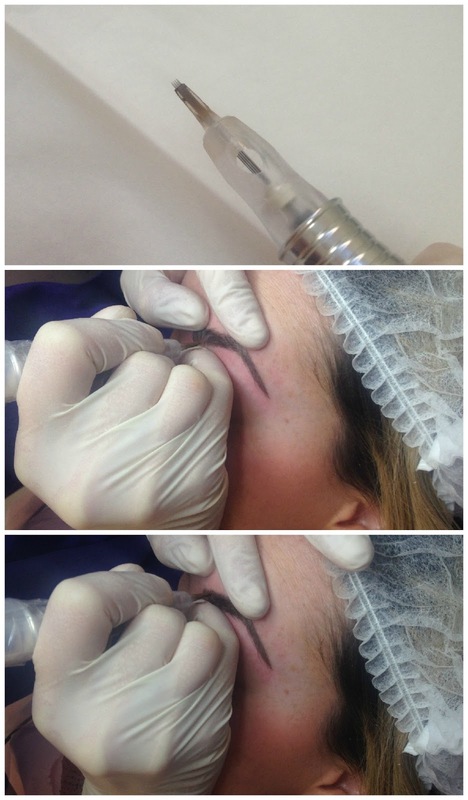 About four weeks after your initial treatment you return for your final top up.The initial application is always done using a less intense pigment, which enables any changes to be made to your brows before the proper semi permanent pigment is used at your final appointment four weeks later (such a good idea!). Luckily, I wanted them exactly how they were and as I knew what to expect this time I had zero anxiety so was able to just lay back and relax as Elizabeth repeated the original procedure (three applications, numbing cream applied after the first application) and it literally took half the time thanks to me not jumping up after each application to ask for water! My final top up was in December and I cannot be happier with how they look. I have, genuinely, had SO many compliments on my eyebrows from complete strangers. During my Venus Freeze Facial -whilst I was completely sans makeup - TWO therapists complimented me completely unprompted. I've had so many comments on Twitter and Instagram about how great they look and I think they are one of the best things I have ever done with regards to feeling confident and happy with how I look. They really compliment my face and means I always feel polished and groomed even without any makeup on. 3D Hair By Hair Brows are not cheap and mine were not a PR/Press gift. I paid for these bad boys myself. I decided to book in with Elizabeth (-fabulous, highly recommend), who is a Tracie Giles Elite Technician and that cost £495. I see the benefits every. single. day and the results are set to last me at least 12 months. I LOVE THEM. Genuinely. Love and adore them. Click for Tracie Giles' Website.